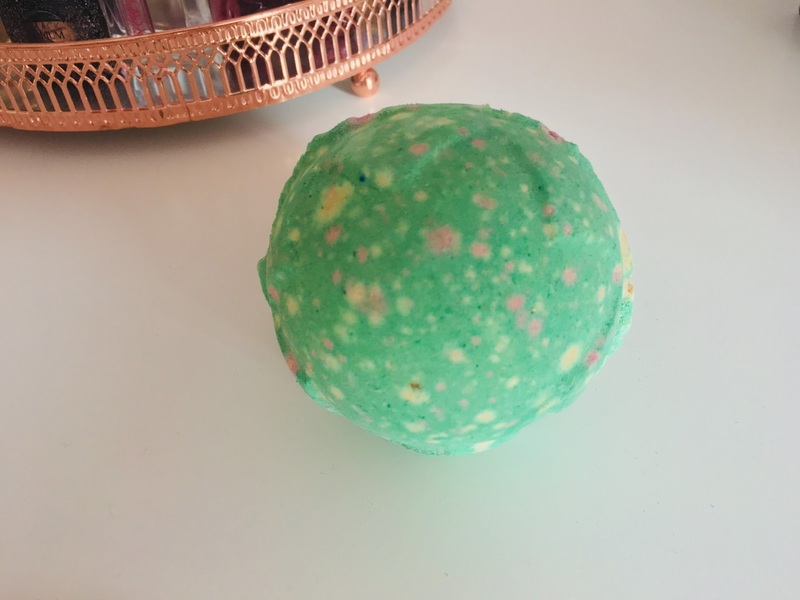 Lord of Misrule was one of my favourites from the Lush Halloween range last year, so when I saw it was back again this year I couldn't wait to purchase it again! Lord of Misrule is a bath bomb which contains patchouli and black pepper oil, although I find that actually smells quite sweet. Lord of Misrule also contains popping candy which you can hear crackling away while the bath bomb disintegrates in the bath. The actual bath bomb itself is green, but as soon as you place it in the bath there's an explosion of green and pink colours which fill the tub. I really believe that this is one of the most prettiest bath bombs that Lush produce! 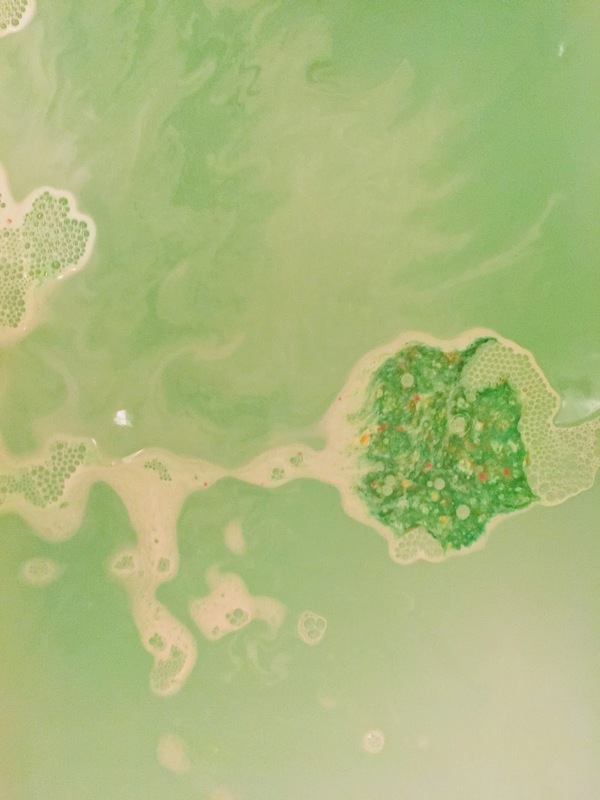 After the bath bomb has completely disintegrated the bath water isn't green, but completely pink! It's a gorgeous deep pink colour. The smell is just absolutely amazing, it's a really distinctive smell but actually I found it extremely relaxing too, which is just perfect for an evening soak in the bath. Looking at the ingredients, this contains vanilla as well as the patchouli and black pepper oils so that would explain the sweet smell! I have to admit, when I first looked into purchasing Lord of Misrule during Halloween last year, I wasn't sure about it because it actually looks quite plain before you place it in the bath, but my oh my you're in for a treat when you place it in water! 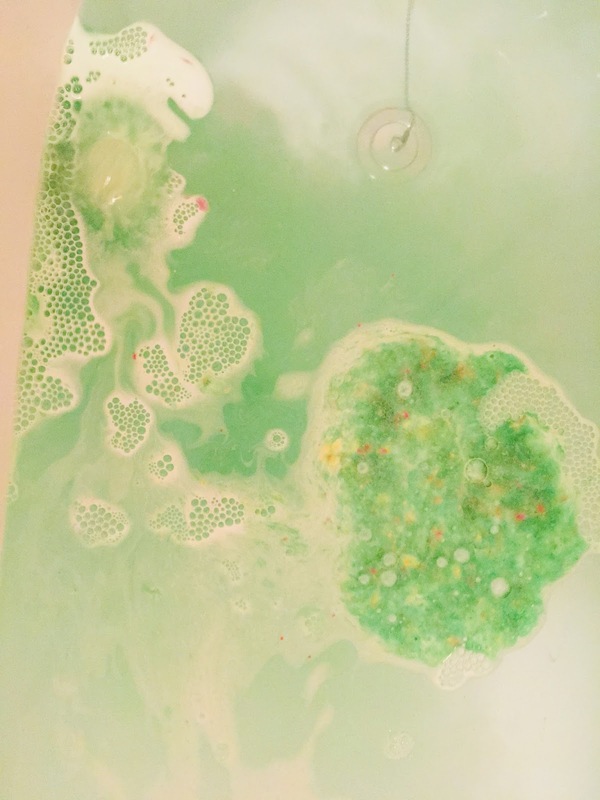 Overall, I adore the Lord of Misrule bath bomb, its one of the most visually stimulating products I think I've ever tried from Lush. It smells gorgeous, and I found that it made me feel extremely relaxed for a good nights sleep. The addition of the popping candy in the bath popping away created even more of a spectacle before I jumped in the bath. My only wish is that it was available all year round! It's reasonably priced at £3.95 so it's absolutely purse or wallet friendly! Let me know if you have tried Lord of Misrule or any other products from the Lush Halloween range?